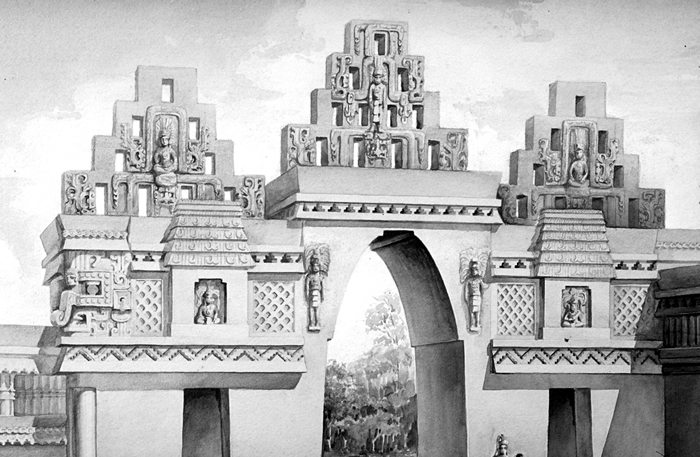 Detail of reconstruction drawing at left, showing proposed appearance of roofcomb and attached sculpture. Watercolor reconstruction drawing by Tatiana Proskouriakoff, 1946; scanned from 35mm slide of the original watercolor drawing. Reproduced Courtesy of the Peabody Museum of Archaeology and Ethnology, Harvard University.